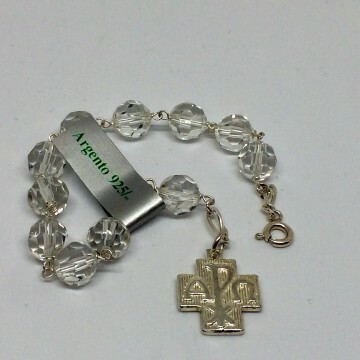 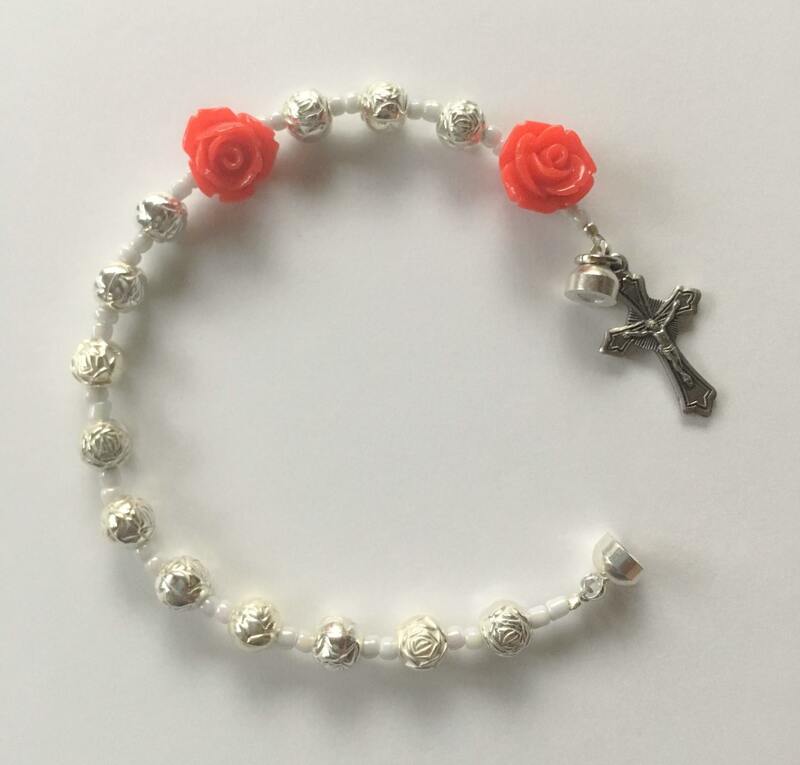 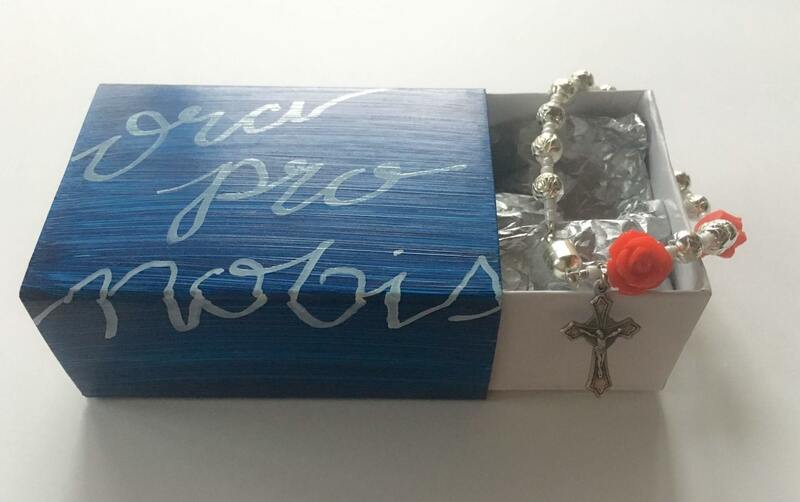 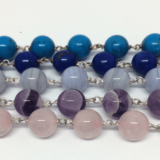 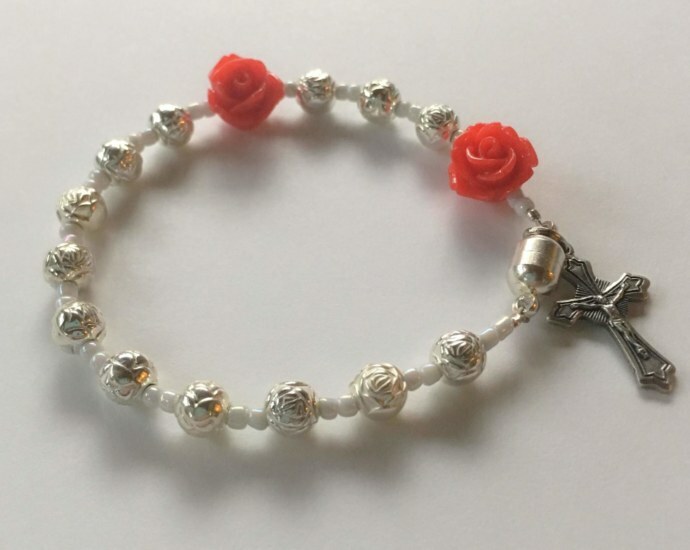 The Roses In The Snow rosary decade bracelet was inspired by St. Elizabeth of Hungary and the miracle of Winter roses under her mantle as she tried to feed the poor. 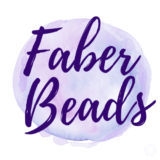 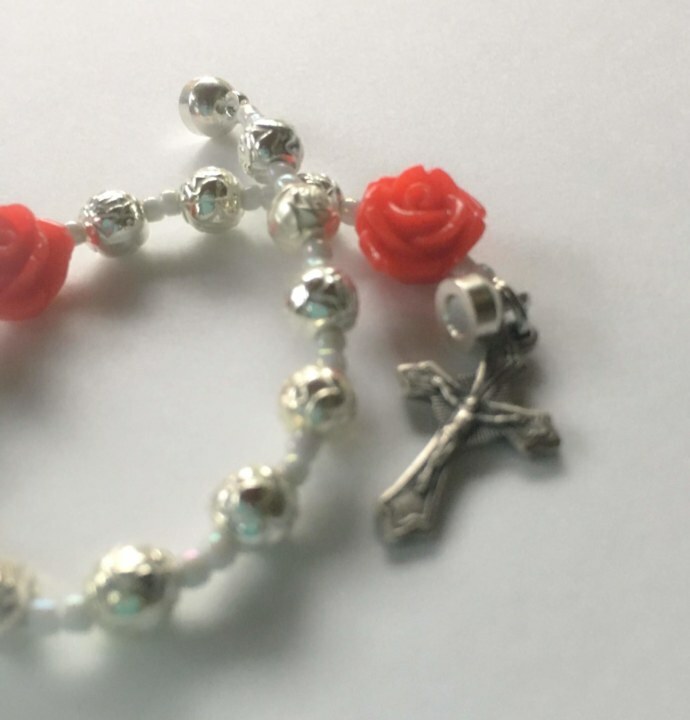 These red acrylic rose beads and silver rosebud beads are accented by shimmery white spacers, representing the snow surrounding the miraculous roses. 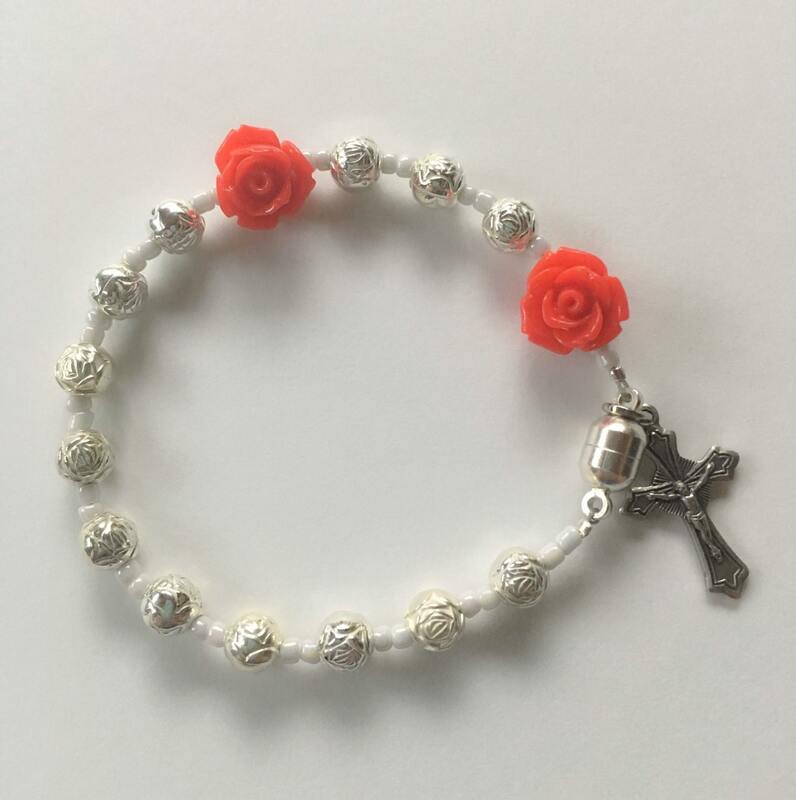 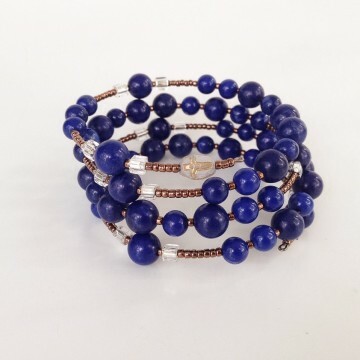 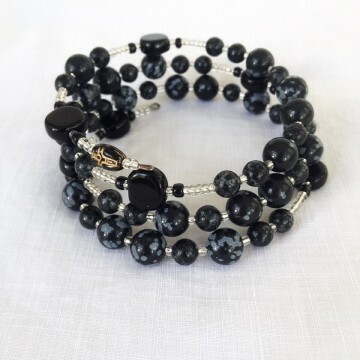 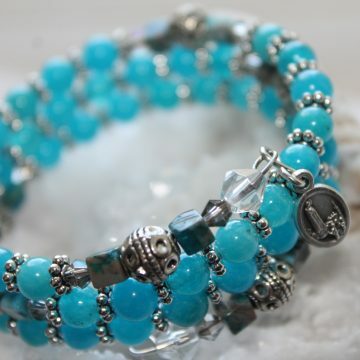 The bracelet pictured was created for a young girl and thus, is smaller in size than other bracelets in the shop. 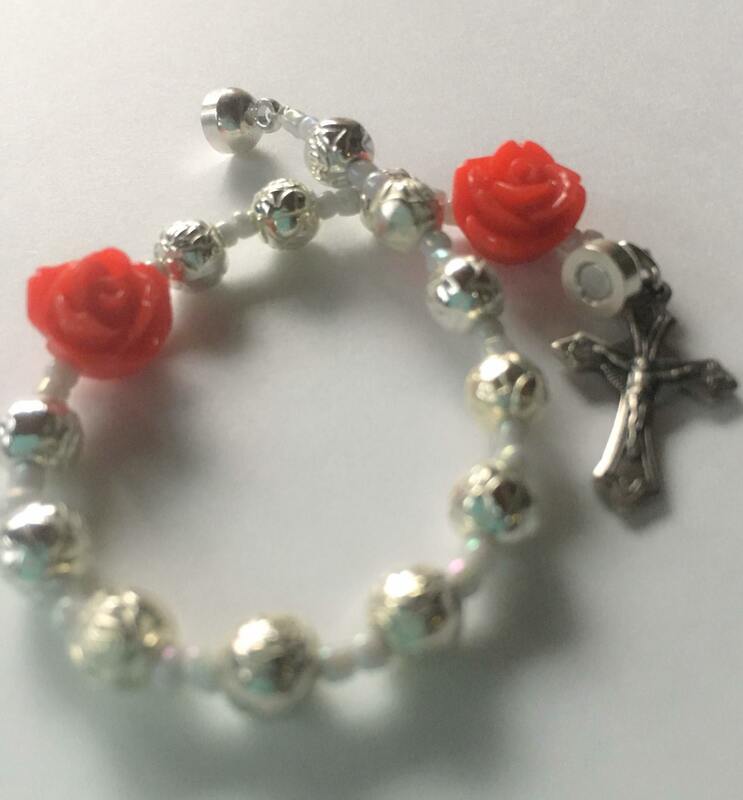 Please specify adult or child when ordering.